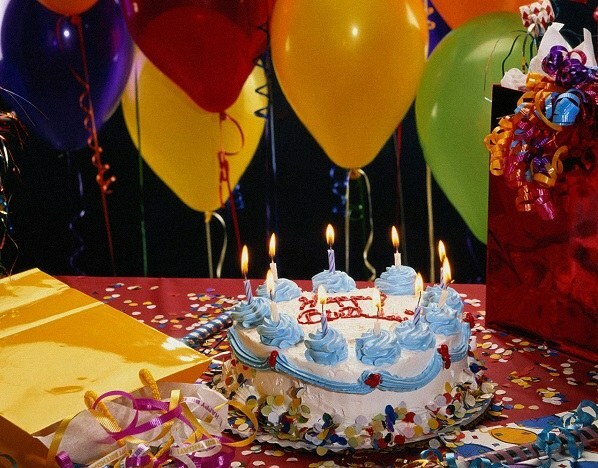 Day of birth – is not just a holiday but an opportunity to surprise and please a loved one. This day will be remembered for a long time, you can give the celebrant a surprise. Video greeting as a surprise. For some time before the holiday start shooting the honoree in different situations and at different angles. Connect to this employment of the best friends and family of the birthday boy. Of the best frame mount mini-movie. To collect all the videos together using the program Windows Movie Maker. Upload a video on Youtube or any other video hosting. In birthday send a link to the video along with the electronic postcard. A sea of congratulations. Threw all kinds of birthday greetings. Send so many greetings, how old was the guest of honor. It can be free with a beautiful congratulation message by e-mail, audio greeting, video greeting, congratulation on the pavement, which can be seen from the balcony or through the window, greeting the poster, telegram, by mail, postcard, congratulation for a window or a poem on a balloon. A surprise party. In this idea the main thing – the mystery, don't say anything about the holiday hero of the occasion. Plan a place for the organization of the event, call all friends of the birthday boy. Prepare and decorate the building. Call your friend under the pretext to help with anything or just to meet. A minute before his appearance, hide and turn the lights off. As soon as he appears on the threshold, all along to congratulate him or shout "Surprise!". Box congratulations. Pre-call all the relatives and friends of the birthday boy and ask them to come up with original greetings. It can be wishes from the heart or any history. Ask everyone to write down their thoughts on paper and roll into a tube. Choose a box of suitable size and place all the congratulations. The box must fill in nicely. You can wrap it with colored paper or paint colors. The birthday present it together with the main gift. A surprise quest. Options exciting quest may be different, it all depends on your imagination. For example, you can hide all the presents in a safe place and to consider the route to them. All tips are to write down on pieces of paper and put them in envelopes. If you wish, you can schedule a script holiday. For example, first conduct the competitions and the quest, find all the gifts, then go to the restaurant or cafe, and finally start the fireworks or balloons filled with helium.